During decades and more the Catholic Church have had major problems with priests using their position within the hierarchial organization in order to sexually take advantage of young boys and girls . The last months this issue has been debated more than ever though the issue in itself has been one - of many - slurs in the history of the Catholic Church. The difference today is that pope Benedict XVI as the first pope addresses this question in writing as he has done in the letter published a week ago. Within the Catholic Church the discussion concerning who are most to blame is very topic at the moment. Some say that the pope and his predecessors are the ones to blame, others that those clergymen and others aware of these abuses are more to blame as the pope can't control every single corner of this vast church. First of all one have to acknowledge that those being outermost responsible for these atrocities are of course the clergymen involved in these acts. One can't blame the celibacy as this is something everyone becoming a priest within the Catholic Church is aware of and if this causes problems for anyone, it's better to resign and admit that one can't live and act under those circumstances. Some would argue that leaving the church on those grounds is'nt to easy as one have committed oneself to this task but this is of course nonsense! If choosing between resigning and the theoretically imagined disgrace this could lead to, or continue working and living within the church for a whole life knowing that I regularly molest young children and adolescents, most of us - if we are equiped with a hint of a conscience and being somewhat mentally stable - would choose the initial. This was not the case concerning the clergymen accused for these abuses. I agree with those saying that the celibacy in itself doesn't create pedophiles or sexually frustrated men but that pedophiles or sexually frustrated men becoming clergymen, does constitute a problem as they are less likely managing to live under the rules and regulations prescribed within the Catholic Church. Again though: If embarking on a clerical journey like this, one have to take on the responsibility it means and not least within a domain where people - strangely enough - very strongly put their trust in you as a 'representative of Jesus'. How long might these abuses have been an integral and hidden part in the history of the Christian Church? Probably as long as the hierarchical church structure, monastery and celibacy have existed. Why haven't a greater number of people - submitted to this treatment - stepped forward earlier during the decades or centuries we are talking about here? Probably for the same reason - the hierarchical church structure. If we could go back in history and, invisibly, had the possibility to search every corner of the Christian church geographically and denominationally, we would surely find cases with people trying to shed light over these terrible actions but they were obviously silenced one way or another. Another explication is that the stories of those children, adolescents or women, subjected to these abuses, probably were treated as lies or some kind of heresies, meaning that they stood no chance at all when accusing a priest or bishop. Who would believe them in a world even more governed by church leaders than today. Choosing to trust an 'ordinary' person and one ordained by God(? ), who did one believe in those days. This obviously goes for events of this kind even during the 20th century, wich is somewhat surprising as we think of ourselves as 'enlightened' and well informed persons today, compared to the 19th, 18th, 17th, 16th century - and earlier generations of - men and women. The hierarchial structure is of course not unique for the Catholic Church and the same mechanisms with a top-down runned organization we find within all Christian church structures and denominations, the Swedish Lutheran Church as well as any other. As having studied theology and once wanting to become a priest within the Swedish Lutheran Church (I have worked as a priest assistant in some parishes in Stockholm during the 1990's), I saw many examples of how hard it can be trying to prove that a high official have done something wrong or used his or her power to silence opponents. I will get back to this later in another blog comment. As having read about Benedict XVI and having regarded him as a very conservative person, during his time as cardinal, violently fighting the liberal theologians in Latin America among other things, I was surprised to see that he now has taken action and finally bringing up the subject of pedophilia on the agenda. This could of course be a form of cabotinage, where he pretends taking action but later on letting the issue die. The future will tell us as always. 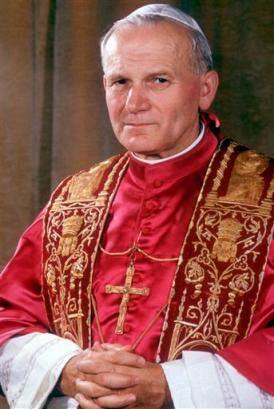 A 'problem' with the former pope John Paul II was that he was extremely popular, probably one of the most popular popes in the history of the Catholic Church - mostly among Catholics of course, though he also seemed to have enjoyed appreciation even from non-Catholics. In the public mind I think he was even regarded being quite 'modern' and maybe even progressive (I know that these expressions have different connotations in different social contexts whereby one should use them with some caution). However, as pope John Paul II became so popular, travelling the world like a globetrotter (even going to a 'pagan' country as Sweden), this meant that people within the Catholic church became less inclined to criticize him for the things he didn't spend much time dealing with, e.g. pedophilia within the Church! I must say that I personally - though not Catholic - was very disappointed seing that he always seemed to avoid this very delicate issue. 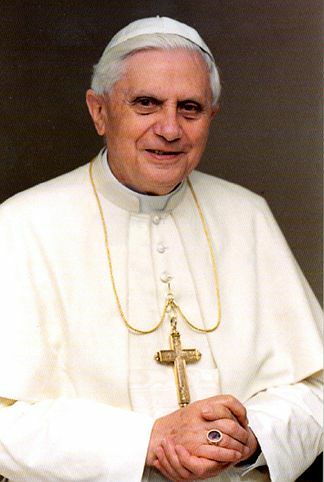 Was this because he was a cowardly person, because he wanted to shut down serious criticizm against the Catholic Church, because he had to many friends within the clergy who themselves were involved or had pope John Paul himself committed similar assaults? These questions we might never be able to answer but we - or rather the Catholic Church and all its adherents - have to admit that it's a shame that neither him nor his predecessors did something radical in order to come to grips with this infectious tumour within the Catholic Church. In all honesty we must also admit that the Bible has been used in many different Christian congregations and denominations, as a mean to dominate women, children and non-Christians whereby these assaults are to be found in any Christian (and of course non-Christian as well) context all over the world. Finally: When it comes to the question of responsibility for the hiding away of these abuses, this is something all Catholics, laymen or priests, collectively have to share as few Catholics have been unaware of these atrocities. Hopefully Justice will conquer over Hypocrisy.